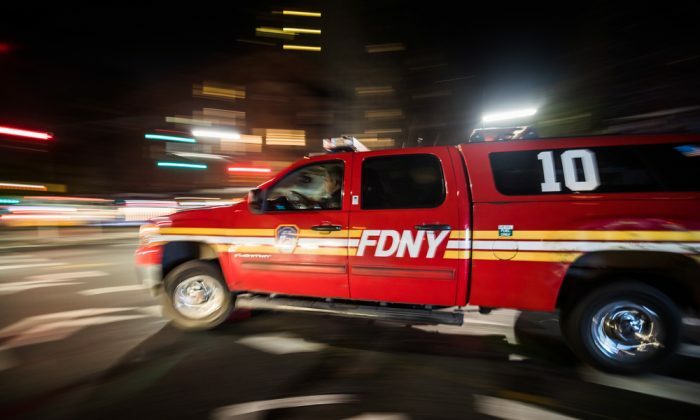 A carbon monoxide (CO) leak in Lower Manhattan left 32 people with minor injuries after a broken flue pipe leaked exhaust into the basement of a restaurant. The incident spurred fears of something more nefarious after reports that a box opened in the basement was the cause of the incident. “A male worker was opening up the box and about 10 feet away there was a female worker that fainted. He associated her fainting with the opening of that box, not knowing that it was actually carbon monoxide,” Chief William Aubry, Detective Bureau, Manhattan South, explained to reporters. A 911 call at 8:22 a.m. had emergency medical services on the scene seven minutes later, explained James Leonard, chief of the FDNY. Due to questions around the box, bomb services were brought in, located the box, and examined it. “There was no hazard in that package,” said Leonard. The injured people were taken to Beekman Downtown Hospital and Bellevue Hospital Center. All are expected to recover, injuries were minor. The pipe was capped and CO levels are dropping, said Leonard.